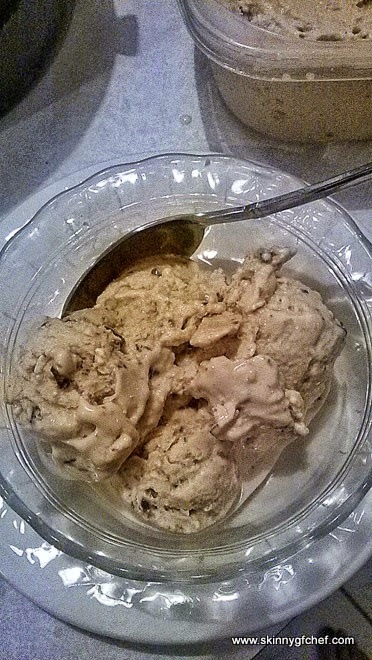 Liberte Mediterranee Caramel & Cappuccino Chocolate Chunk Frozen Yogurt Recipe #YogurtPerfection and a Giveaway! 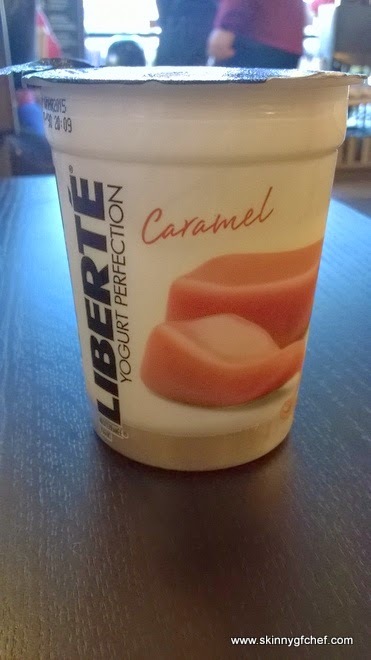 I'm a long time yogurt lover, but honestly I've never tasted anything as rich and luscious as Liberte Mediterranee yogurt. No wonder they call it #YogurtPerfection. I was thrilled to find out that it's gluten-free and made with all healthy ingredients! 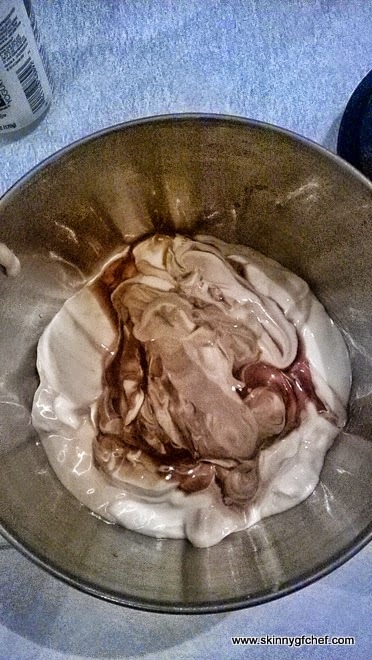 I turned it into this beautiful creamy frozen yogurt in just minutes for dessert tonight and we loved it. Pure Espresso and Pure Caramel at the bottom is divine! 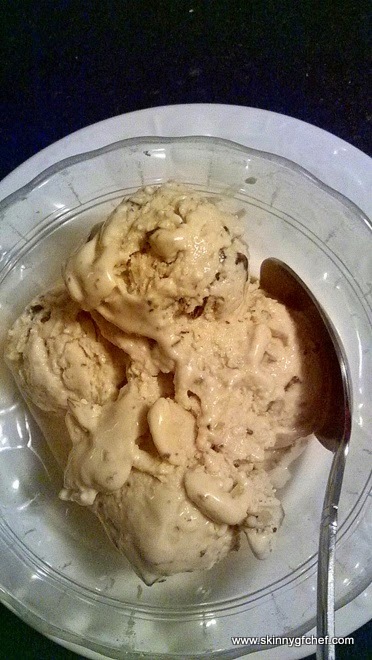 I adore the combination of pure melted caramel and espresso so I used their newest flavors Liberte Mediterranee Cappuccino and Liberte Mediterranee Caramel to make my frozen yogurt. Liberte makes their yogurts from whole milk with no rBST/rBGH, cane sugar, live active cultures and natural flavors with no added gelatin or preservatives. How great is that? 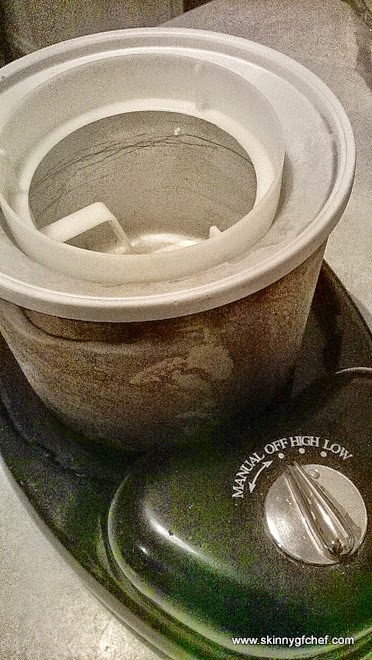 I keep my ice cream maker bowl in the freezer so I can pull it out and make frozen yogurt in minutes! In a bowl, whisk together the yogurts and cream. 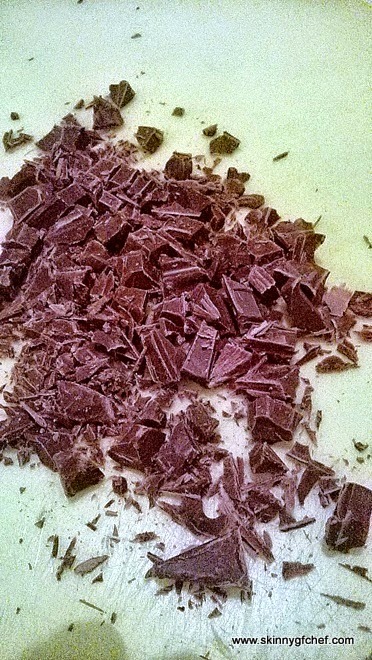 Stir in chocolate chunks, nuts, and salt. Pour into machine and churn according to manufacturer's instructions. Enjoy immediately or freeze in a covered container. NOW ON TO THE GIVEAWAY! CLICK THE LINKS BELOW AND THEN ENTER IN THE GIVEAWAY BOX. GOOD LUCK! 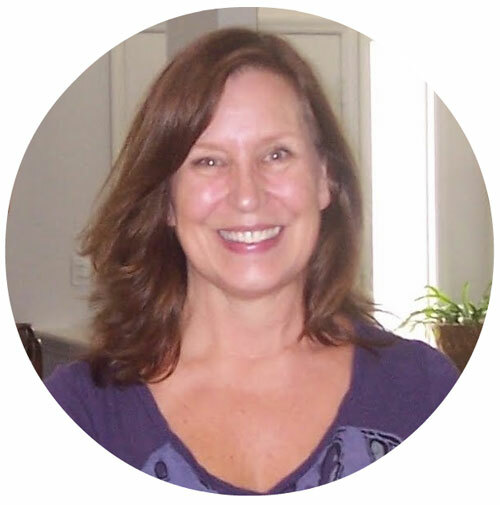 Liberte is offering a prize of $15.00 Paypal credit to one lucky winner! Enter daily and enjoy Liberte Mediterranee Yogurt on us!